When celebrating a life lived with fashion and flair, this vibrant arrangement is an inspired tribute. 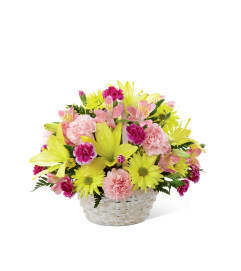 Its “tiers of joy” are sure to spark happy memories of the departed_perfect for consoling grieving family and friends. 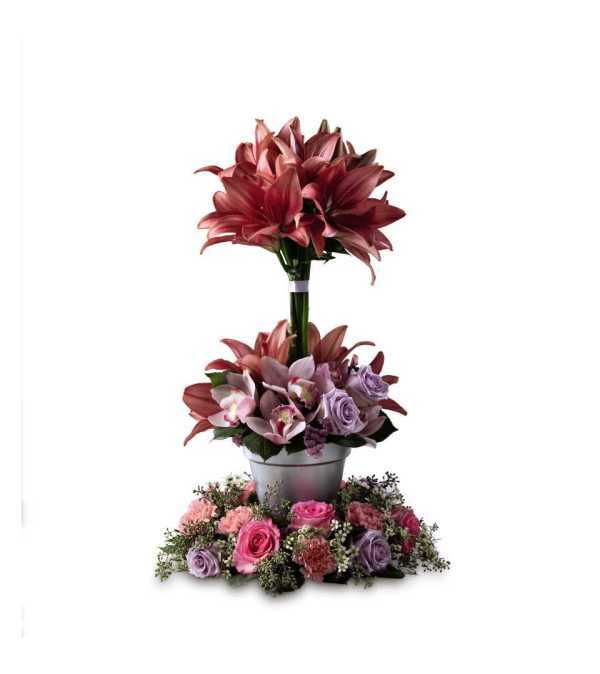 Handcrafted by a local FTD artisan florist it is constructed of three levels of blooming color from the ring of striking color at the base, to the dramatic flourish of lilies at the top. It includes lavender and hot pink roses, pink carnations, statice and cymbidium orchids, white waxflower and complemented with lovely, lush greens. 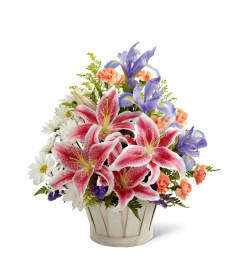 A welcome choice for a wake or for a funeral service that will never be forgotten.